RUSH: Let’s move on to Hope Hicks. We’ll get back to your phone calls here in a jiffy. The Hope Hicks situation. A lot of people (she announced her resignation yesterday) began to say, “Oh, it must have really gone bad in her congressional committee hearing.” Nine hours of testimony up there, and it was in this nine hours of testimony where she admitted to telling white lies for the president after conferring with her lawyer for 10 minutes. Now, the U.K. Daily Mail has a summary of what happened. 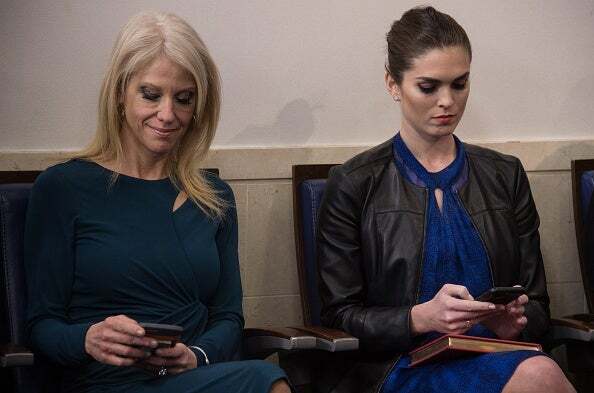 “Revealed: How Hope Hicks Was ‘Trapped’ into Admitting She Told ‘White Lies’ for Trump — After Conferring for 10 Minutes with Her Lawyer,” and let’s see. That would be… Grab audio sound bite 15, because we’ll go from there on this. 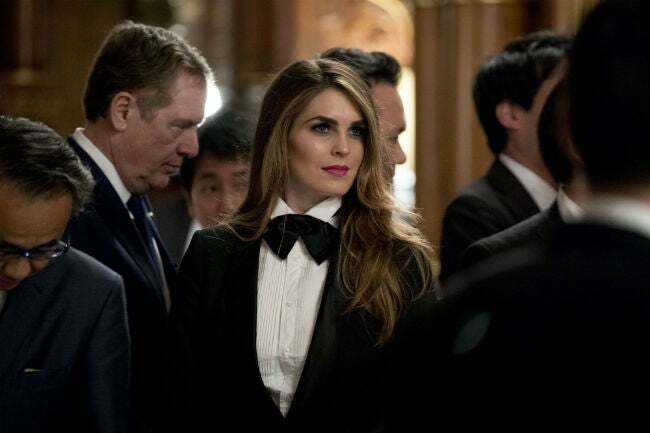 Hope Hicks is 29. She originally started with Ivanka and Ivanka’s businesses, and from there she matriculated upwards to a position within the entire Trump organization and ended up being one of the closest confidantes of Donald Trump himself, and she traveled with him during the campaign and then to the White House. The very archliberal Maggie Haberman, writer for the New York Times, assured everybody that she had sources telling her that Hope Hicks’ resignation nothing to do with the congressional testimony. It had nothing to do with what she had said or not said about President Trump, that she had been planning to resign for months, that she wants to move on and do something else with her life. So the case was being established that whatever happened in the congressional testimony had nothing to do with her resignation. However, the Daily Mail seems to indicate that there could be an alternative theory. Hope “Hicks spent nine hours testifying Tuesday to the House Intelligence Committee and admitted to telling ‘white lies’ for Trump. She got asked if Trump ever asked her to lie, and conferred with her lawyer” for 10 minutes, and then she said yes,” white lies.” She specified, “I have never been asked to lie with respect to the Russia investigation.” It’s just, you know, an occasional lie that he was in a meeting when he wasn’t. It’s just stuff that every secretary, every aide fudges here and there. The curiosity is, you know, you confer with your lawyer for 10 minutes after such a question and come up with that answer. The white lies comment emerged in the hours after Hicks got grilled for nine hours and reports about it reportedly caused Trump to give her a tongue lashing. Now, a pair of Republican and Democrat panel members are now clashing over the questioning in general that brought about the comment. Tom Rooney of Florida said the whole thing was a trap. He admits he wasn’t there at the beginning of the session, but he says they sent her down a rabbit hole she couldn’t get out of, completely unfair. ROONEY: I wouldn’t blame her. And that’s why tonight I’ve asked our Chairman Conaway that we need to end this investigation. It’s been going on for a year. We’ve interviewed scores of witnesses, and now we’ve gotten to the point now where we’re literally bringing people in for nine hours just so the Democrats can leak to the press something as ridiculous as white lies, not having anything to do with the Russia investigation, but that that drives the whole story for the whole next day. ROONEY: The question was, “Have you ever lied for the president?” An extremely broad question. That could be like me telling a staffer to tell somebody that’s calling me on the phone that I’m not here. That would be asking my staffer to lie for me. I actually chimed in at that moment and said, “Can we please specify as to whether or not you’re asking her if she’s ever lied for the president with regard to the Russia investigation, her testimony here, or anything that she said during this testimony?” And of course to that she said that she has not lied with regard to any of those things. BURNETT: So someone else used the word. She did then repeat it. ROONEY: It was a trap, Erin. It was a trap. RUSH: So she didn’t use the term “white lies.” It was like a lawyer asking a leading question. “So you’ve told white lies?” Yes. After conferring with a lawyer. She’s 29 years old, folks, and so Tom Rooney says that it was a setup, and the Democrats just wanted this nine-hour thing so they could start leaking things after it was over. And Rooney, he wasn’t even finished. He was just getting wound up here. ROONEY: Over the last year, we have had not one witness come forward or interviewed that has given us any evidence of collusion, conspiracy, coordination between the Trump campaign and the Russian government. Not one. And so now we’re basically going through the motions, and we’re trying to find tabloid type news to give to you guys that becomes the driving news cycle of the day, and that needs to end. RUSH: He’s exactly right about this. There isn’t any collusion! All of this is a dog-and-pony show that the Democrats are running, that the Republicans are letting them run. Nine-hour testimony, nine hours of questions for Hope Hicks, who never did anything to anybody. And, by the way, I think she’s unfairly under attack for yet another thing. It supposedly is being laid off on her as the person who gave Michael Wolff all of that access to the West Wing to write that book about Trump and his affairs and whatever the Wolff book had in it, a runaway best-seller. And supposedly she’s being blamed for not vetting Wolff enough and not learning what his real intentions were. And I’m here to tell you, folks, I don’t think she’s the one responsible for that ’cause I had too many people telling me long before this and independent of this, I had a lot of people tell me, “You know, Michael Wolff has changed. We conservatives can trust this guy.” I said, “What?” “Oh, yeah. He’s a good guy.” I had a lot of people telling me this. Well, a year ago, coming up almost on a year ago I had people telling me this. On the basis of what? “Well, he gets it now.” He gets what? “Well, he gets the libs.” You guys, don’t tell me you’re really falling for this. 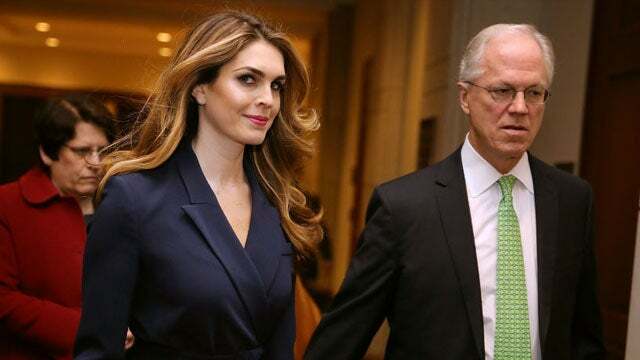 Anyway, somebody vouched for Michael Wolff with Trump, somebody carried enough juice with Trump that Trump trusted ’em, and I just don’t think that was Hope Hicks, but they’re laying that off on her too. There’s a lot of people who made tactical mistakes like that, believing that everybody wants to help make Trump look good. I don’t know how anybody could fall for that. But now they’re laying that off on her too. And that’s not new. They’ve been blaming her for the Wolff thing ever since his book came out. I honestly think she had nothing to do with it.